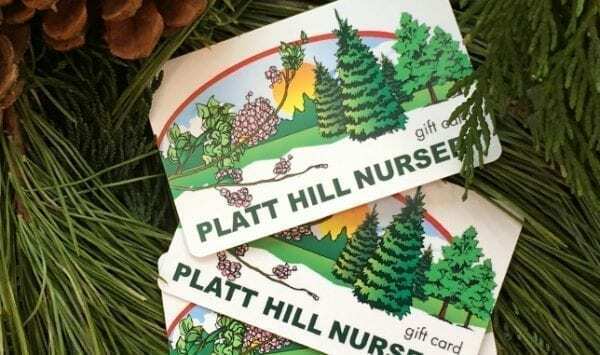 Brighten up anyone’s holidays, birthday or any day with a Platt Hill Nursery gift card! Our gift cards can be used in Bloomingdale or Carpentersville no matter where you purchased the gift card and they’re good year round! Take the guess work out of giving and give a Platt Hill Nursery gift card. It is definitely one of Platt’s favorite picks! Gift cards can easily be purchased by credit card, or from any cashier at our Nursery. Gift card purchases my take up to 3 days to process.